Publisher: Allen & Unwin Ltd. Note: Holy Quran, The Koran: Interpreted, trans. by Arthur John Arberry (London: Allen & Unwin Ltd., 1995), p. 373. 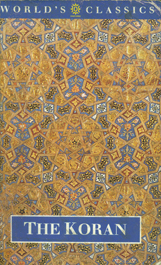 Bibliography: The Koran: Interpreted. Translated by Arberry, Arthur John. London: Allen & Unwin Ltd., 1995.